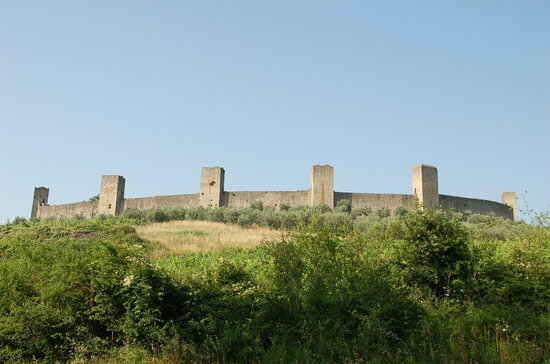 Monteriggioni is a comune in the province of Siena in the Italian region Tuscany. It borders on the communes of Casole d'Elsa, Castellina in Chianti, Castelnuovo Berardenga, Colle di Val d'Elsa, Poggibonsi, Siena and Sovicille. The town is architecturally and culturally significant; it hosts several piazzas, and is referenced in Dante Alighieri's Divine Comedy.